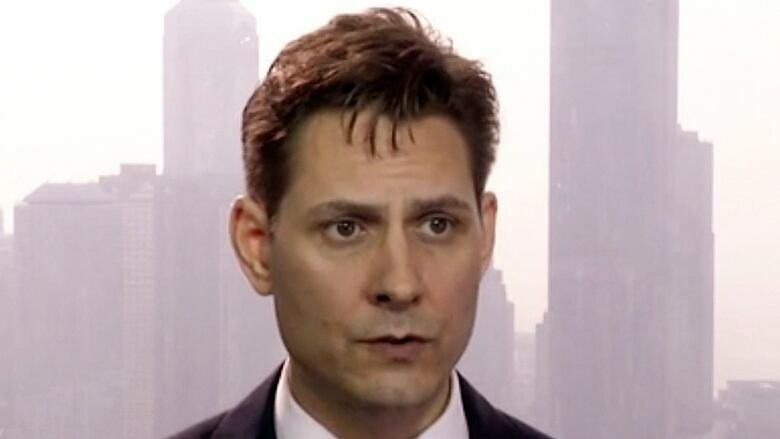 Canadian consular officials in China visited with Michael Kovrig today — just the second time they've been allowed to see him since he was detained one month ago. A news release from Global Affairs Canada (GAC) said officials will continue to seek further access to Kovrig, a diplomat who was on leave working as an adviser with the International Crisis Group, and Michael Spavor, an entrepreneur originally from Calgary. The men were taken separately into Chinese custody on alleged national security grounds in December. "The Canadian government remains deeply concerned by the arbitrary detention by Chinese authorities of these two Canadians since last month and continues to call for their immediate release," reads a statement from GAC spokesperson Guillaume Bérubé. He did not provide details on the visit, citing privacy concerns. The release said Canada appreciates the efforts of countries that have spoken out in support of the detained Canadians and the rule of law, including Australia, the EU, France, Germany, the United Kingdom, the United States and, most recently, the Netherlands, Latvia, Lithuania and Estonia. Kovrig was detained on December 10, 2018. Canadian officials were granted consular access to him for the first time four days later. Consular visits are made to evaluate the detainee's well-being, to clarify the nature of the detention with local authorities and with the detainee, to provide legal guidance and advice on medical attention, if required, and to share messages between the detainee and loved ones back home. Canadian officials also have made two consular visits to Spavor, director of the Paektu Cultural Exchange, an organization that organizes sporting, cultural, tourism and business exchanges with North Korea. The detention of the two Canadians came after Canada arrested Huawei chief financial officer Meng Wanzhou in Vancouver on an extradition request from the U.S. She was later granted bail and is now awaiting court proceedings. The Conservatives have been pressing Prime Minister Justin Trudeau to take a harder line by calling Chinese President Xi Jinping directly. This week, China's Ambassador to Canada Lu Shaye wrote an op-ed in the Hill Times accusing Canada and its Western allies of embracing "Western egotism and white supremacy" by calling for the release of the two Canadians.